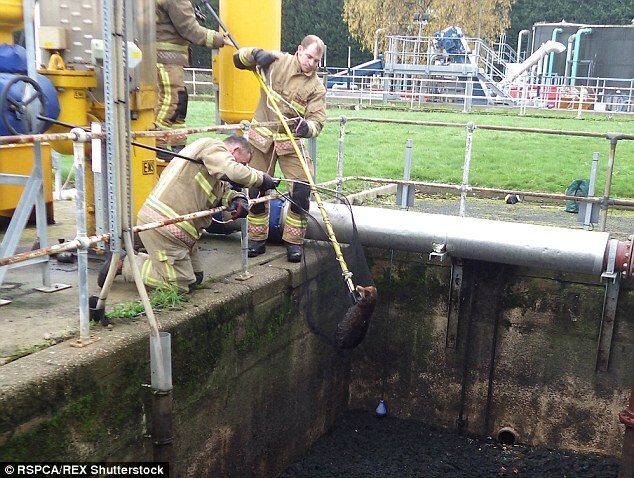 These photos show a stricken fox being rescued by the RSPCA and firefighters after falling into a sewage plant slurry pit in Atherstone, Warwickshire, and remaining stuck there all night. 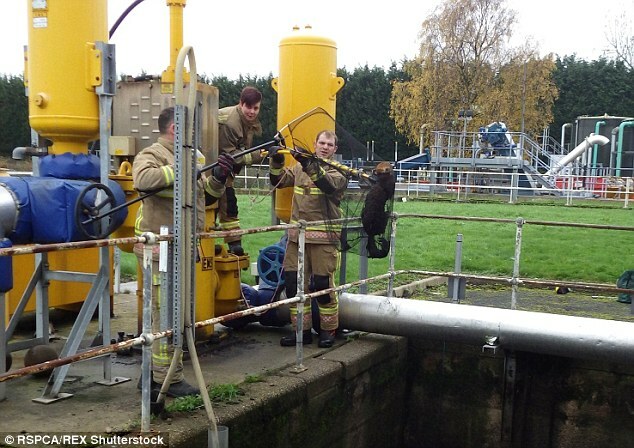 The RSPCA was called to the Severn Trent plant at the Carlyon Industrial Estate on Tuesday morning after a worker spotted the young female struggling to get out of the foul-smelling pit. 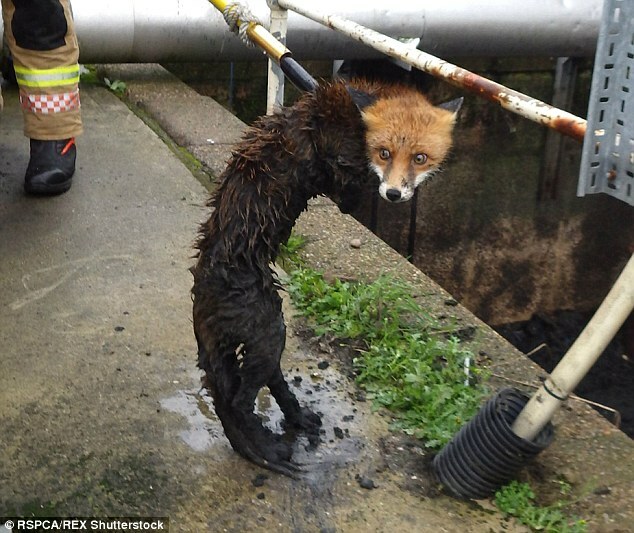 Incredibly, the fox was still alert and conscious, despite the noxious fumes associated with slurry.RSPCA inspector Nicola Johnson, who attended the incident, said: 'Who knows how this fox managed to get herself into this fix, perhaps she slipped and had an accidental tumble. 'But she was completely stuck when I found her. 'There was no way she would have been able to make her way out without help. 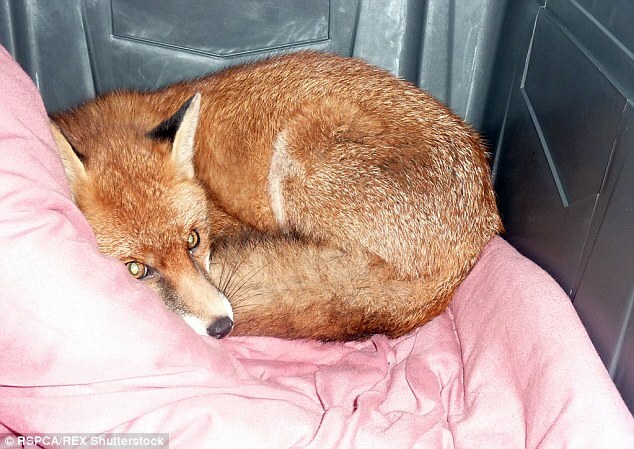 'Ms Johnson said she quickly realised she would need the fire brigade's help to rescue the fox. When firefighters arrived at the scene, they used a long pole and net to grab the creature. They then lifted her to safety, before wrapping her in a blanket and taking her to a nearby wildlife centre. 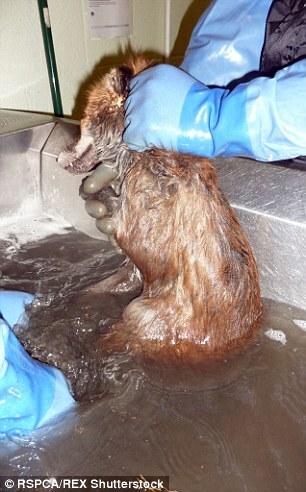 At Stapeley Grange Wildlife Centre, the fox was given a bath and checked over. Although clearly traumatised from the incident, she was deemed healthy, the Tamworth Herald reports. She was later released back into the wild. 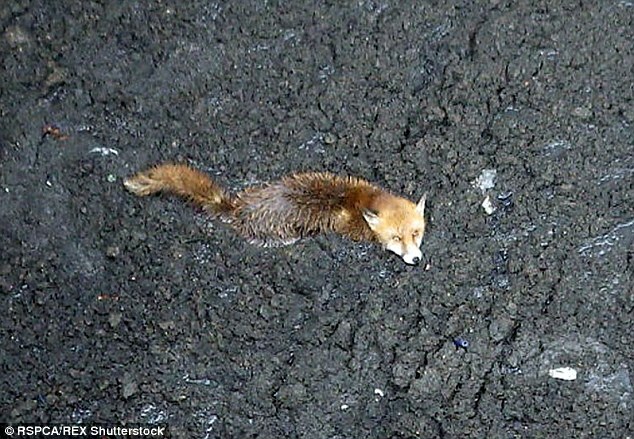 Responses to "Firefighters Rescue Stunned Fox Stuck In A Slurry Tank Overnight"
What a Sweetie!!! So glad she was saved. Glad Foxie is safe! To those who rescued her...great job!! A happy ending for a change. Much thanks to everyone involved. Love stories like this. This is humanity at it's best. Excellent job everyone. Well done, makes a change to read good things instead of all the badness.